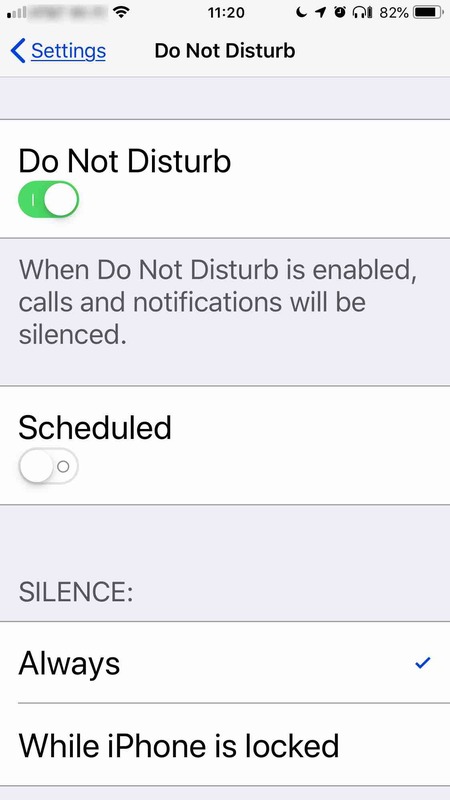 You may miss a few legit calls by leaving Do Not Disturb on (except for your Contacts), but the peace is worth it. A while ago, I wrote about the epidemic of spam and scam phone calls constipating the telephone network. Since then, the infection has only gotten worse. The FCC estimates there will be more than 3-Billion of these fraudulent phone calls this year. That’s roughly 25 calls a day! Even if you don’t answer but only check to see if you should, that’s a tremendous hit to your productivity—a hit with real economic value that runs nationally in to the tens of billions of dollars a year. Just figure that it will take you roughly 15 minutes to get fully back on track after each call. That’s about six hours of impacted productivity each day. So, I decided to write today about a solution someone suggested to me. I wish I could remember who so I could give credit where credit is due. 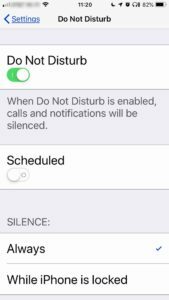 iPhones have a feature called “Do Not Disturb.” I believe Android devices have a similar feature, but I have never owned one. If you know how to set that feature on Androids, please post in the comments to this blog. Meanwhile, here’s how you do it on an iPhone. Scroll to and tap Do Not Disturb. Do possibly miss business by using this method? I’m pretty sure I do. But it’s worth it to me to be able to concentrate on more important things. Do occasional calls get through? Yes. Spammers sometimes spoof numbers that are actually meaningful to you. I once got a spam call from myself, probably using one of my alternate numbers. Don’t stress over missing a call or two if that gives you the time to enjoy life. As one of my favorite bosses once told me, “We work to live. We don’t live to work.” If we do, we have just made a new job for ourselves. When I do get a call, I’m in a better mood to take it because I haven’t just got off the phone with a fraudulent caller. I consider anyone who spoofs a phone number they don’t own as an identity thief. Unless we want cell phones to go the way of telephone answering machines and cassette tapes, all we can do is urge the FCC to implement their proposed regulations now. They currently want to give these scammers more time to figure out how to get by the regulations. If we’re going to drain the swamp, we need to start with the current head of the FCC, Ajit Pai. Given that his official bio says, “Consumers benefit most from competition, not preemptive regulation” and never mentions spam, he needs to be reminded that he is supposed to serve us, not the spammers and scammers. FYI, people not on your contact list DO go to voicemail, so all they have to do is leave a message and you can call them back. I’d recommend frequently checking for voicemail if you turn on the DND option. Right. 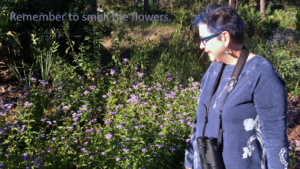 I also forgot to mention that I changed my greeting to tell callers that and to text me their contact information if they want to get through the first time. So far, not a single spammer/scammer has texted me their contact information. On Android you go to Settings- Sound- Do Not Disturb. They have 3 automatic times set, but you can add anything you want. I set mine to Always and created the times 6am to 5:59am. We’ll see if it works.